Discussion in 'Transformers News and Rumors' started by Soundwave84, Feb 29, 2008. 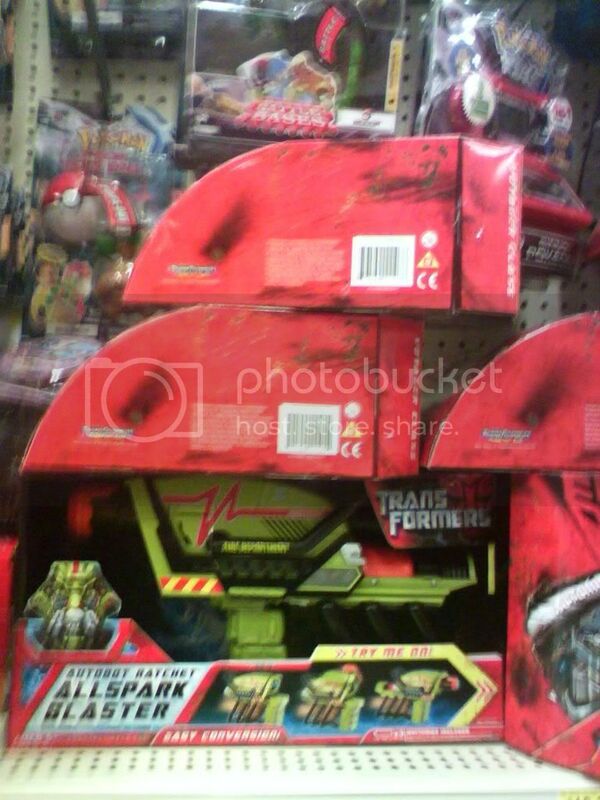 Hey so i dont know if this has been posted yet but i have been looking all through the news and rumors and i have found nothing...Found this today at Walmart it looks good but it was a pass they also have Jolt, Grindor which was ones i picked up and divebomb and big daddy which was passes for me. Oh i found it in Lynchburg, Va.
All ready been reported, but I believe that's the first in store pic though. Saw it today too at a local Wally World. Meh & YAWN! just got back from wm and saw a bunch there as well. horrible!